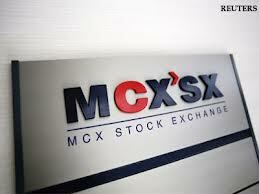 MCX-SX will introduce trading in futures and options (F&O) on its index SX40 from May 15, 2013. SX40, launched in February, is a free float-based index of 40 large cap and liquid stocks, representing diverse sectors. Trading in F&O contracts on SX40 would be available between 0915 hours and 530 hours from Monday to Friday. futures & options on SX40 would be offered in a contract trading cycle of minimum of three contracts having maturity of one-month, two-month and three-month. Share market close above 5900 points it gained 104 points and shows a bull positing in other area we have seen a drastic change in base meal the current price of aluminum is less than 100 rupees now it was traded at 99.85 Rs. Zinc also traded on 100.60 points ..